I’m doing my best to channel all of the calm this week, which marks the launch of London Design Week 2018 (yaaaaasssss!) and my daughter’s 5th birthday. It’s about to get crazy busy. As this is the first LDF I’m covering for more than one day of events, it means there’s some serious design coming your way next week. Today, though, I’m transporting you to the Botanical Gardens Meise. For our family break this summer, we decided to explore the city we’ve been to many times but only in passing through. The city is fairly compact and we were surprised at just how much there was to do which wasn’t remotely touristy. Ok, we did visit the Atomium (the one touristy thing we did all week) but it was worth being herded around for the history of the architecture. Obsessed plant lady that I am, I was determined to visit at least one tropical garden over the summer and although Royal Greenhouses of Laeken were closed, we made it to Meise on a sweltering afternoon. Thankfully, gardens are the one place kids generally don’t get bored with as long as there’s space to run around so I was happy to disguise a totally selfish trip with something fun for the kids. Ha. 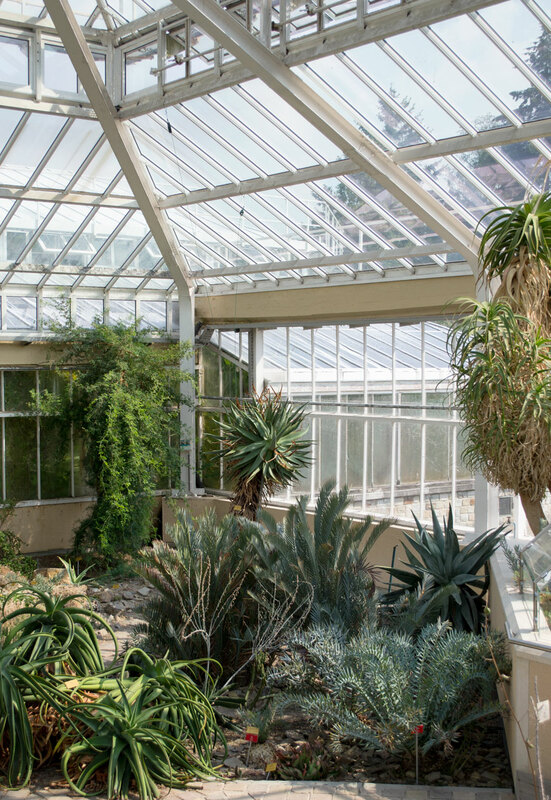 With a history dating back to 1796, the botanical gardens house more than 18,000 species of plant, including 13 separate environments within the plant palace. Just 20 minutes outside of Brussels by bus, the gardens feature one of the most stunning glasshouses I’ve ever been in. And I don’t say that lightly. I honestly began to well up with the sheer enormity of it all when I stepped through those sliding doors. The heat, the humidity, the quiet. Just wandering aimlessly, gazing up at banana and palm trees which would dwarf our house in height. Giant lily pads strong enough to support a baby (and they have!) Cacti standing like resplendent sculptures. I could go on but instead, I’ll let the photography do the talking. And if you ever find yourself in Brussels, make a little effort to seek house Plantentuin Meise. You simply must.